Leadership Team | IDS Infotech: BPO, Engineering, Legal, IT, ITES, Publishing, Healthcare services provider in India. 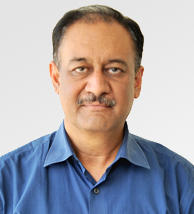 Partap K. Aggarwal is the co-founder and the present Managing Director of IDS Infotech Ltd.
Partap K. Aggarwal is the co-founder and the present Managing Director of IDS Infotech Ltd. He is a seasoned entrepreneur and experienced technology executive with a track record of success. His background includes valuable IT experience while working on Technical lead positions for companies like Incomnet Inc, Leach Corporation and MTI. Besides his expertise in Systems Management, he has successfully managed large technical teams to create products and provide services. 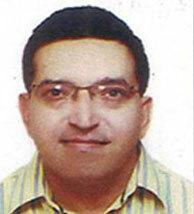 He takes an initiative to travel to countries worldwide to present and negotiate IT services contracts. 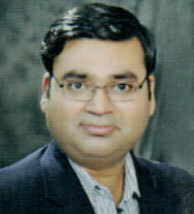 He is a pioneer of the IT industry in the region and enjoys great respect from the large fraternity. He has proven himself to be an innovator and trendsetter by spearheading numerous initiatives to improve the overall posture of the IT industry and related education. Charter member, TiE and also heading the mentoring group of TiE, Chandigarh. He holds a degree in Electrical Engineering from Punjab Engineering College, Chandigarh. Vikram Jit Puri has over twenty five years of increasingly responsible senior management experience across a cross-section of industry including last twenty years in BPO/KPO services sector. His professional experience spans across multiple functional areas and includes leadership roles in research & development, pre-sales, business development, customer service, contract review, quality management, business process transition, project management, production operations and vendor management. Vikram joined IDS in year 2005. He is currently working as Senior Vice President 'Content management and Publishing Services' , 'EH&S Services' and 'Transcription Services' at IDS. Before joining IDS, Vikram has held key assignments with several known companies, including working as ‘production head, India’ for Innodata. He has solid exposure to scaling up large delivery teams in excess of 1000 staff. 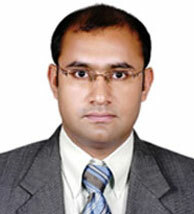 Vikram is a certified ISO9000 Lead Assessor and has trained several professionals. He holds a Bachelor's degree in Electronics and Electrical Telecommunications along with Master’s degree in Business Administration. Deepak is finance professional with over 25 years of experience spanning the entire gamut of finance with additional responsibilities of overseeing Commercial, Legal and Secretarial functions. Deepak Mahajan is the Chief Financial Officer of IDS Infotech Ltd.
Deepak's experience and expertise include Strategic Financial Planning & Control, Project Financing, Budgeting & Forecasting, Merger & Amalgamation, Restructuring, Private Equity, Treasury, Working Capital Management, Risk Management, Direct & Indirect Taxation, Internal Controls & Audit, Commercial, Legal & Secretarial Functions in the fields of Engineering, Automotive, Pharma, Textiles, Poultry & IT Sectors. Deepak holds a Bachelor Degree in Commerce (B.Com-Hons in Banking) and is a Fellow Member of the Institute of Chartered Accountants of India. Saurabh Kumar Srivastava is the "General Manager – PDG (HR & Admin)" of IDS Infotech Ltd.
Saurabh is multi-faceted HR professional, with two decades of experience in HR Operations, Talent Acquisition, Engagement & Retention, Organizational Development, Performance Management, Manpower Planning, & Budgeting, HR Statutory Compliances, Facility Management & Administration for various industries like BPM-IT/ITeS and Healthcare. 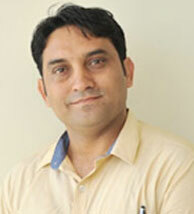 Saurabh holds Masters in Business Administration degree along with PGDHRM. Meena Sandhu is a dynamic leader with an extensive experience of 16 years in Project Management, Organizational Operations, Process Transitioning and Business Development. As head of IDS-Legal, Meena's role is to ensure seamless integration of the processes resulting in increased operational and cost efficiency for our Clients. She has experience of working on different processing architectural set-ups with multiple processing machines and servers across the shifts. Her core strength lies in planning and execution of the Projects including business process study & documentation for maintaining and refining customer satisfaction over the project life cycle. During her leadership, the team has initiated and sustained key process changes internally and externally. She is an exceptional mentor and coach combined with business acumen and innate leadership abilities to recruit, build, and retain top-performing Project Management teams. 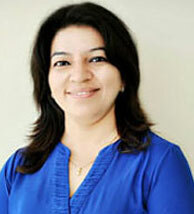 Meena holds a Master degree in Business Administration and is a certified Internal Auditor for ISO 9001. Imtiaz is a dynamic leader with an extensive experience of 18+ years in Operations Management, Project/Program Management, Business Development and Mentoring in Software industry. He worked overseas for the period of 8+ years. Imtiaz is working with IDS since 2013 and responsible for the growth of Software Solutions Business ("SSB") Group. He holds the strong leadership skills coupled with "hands-on" technical expertise. He has handled numerous technology project teams reaching up to 80 Engineers. Experienced in setting up PMO and heading it for Organization's success, leading large software development engagements, maintenance projects, production supports, staff augmentations, etc. - both with offshore/offshore-onsite/onsite models including taking care of P&L, GM, etc. Lead large scale transformation engagements working closely with public sector involving highly influential stake holders. Business Head - IDS Argus Healthcare Services Pvt. Ltd.
Ravinder Sehrawat has an extensive experience of 13 years in Healthcare Industry specializing in revenue cycle management. He has been working with IDS since 2005. 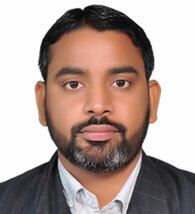 Ravinder Sehrawat Business Head - IDS Argus Healthcare Services Pvt. Ltd.
Ravinder is heading Joint Venture Company of IDS which is known as IDS Argus Healthcare Services Pvt Ltd since its incorporation, in the year 2012. Ravinder has played key roles in client turn-around by building dependable delivery teams, and establishing effective governance and control mechanisms. He has significant experience in planning, designing, and implementing strategic operational initiatives that help in driving superior financial outcomes. Ravinder holds a Bachelor of Science from Kurukshetra University and a Postgraduate Degree in Business Administration with specialization in Healthcare services. He is also a certified coder from AAPC. Manoj Kumar has over 17 years of experience in various leadership roles. Manoj has developed core competency with an extensive experience in Client Management, Operations Management, Business Development, MIS and Administrative functions for IT, ITES and Engineering & Aerospace domains. Manoj has played key roles in various business verticals which include Engineering, Software, Litigation Support and Customer Support, and worked with more than 50 clients globally for various assignments. In the current role, he is responsible for Marketing and Engineering & Aerospace divisions. Manoj has vast experience of Advance MS Excel tool and always put analytical approach to ensure the best solutions. He provides training to professionals for Advance MS Excel, and always believes in knowledge sharing, motivating the team members and works as a team to achieve the goals. 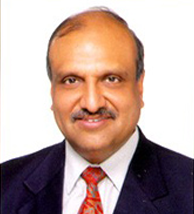 Manoj holds a Master degree in Business Administration and is a certified Internal Auditor for AS 9100.